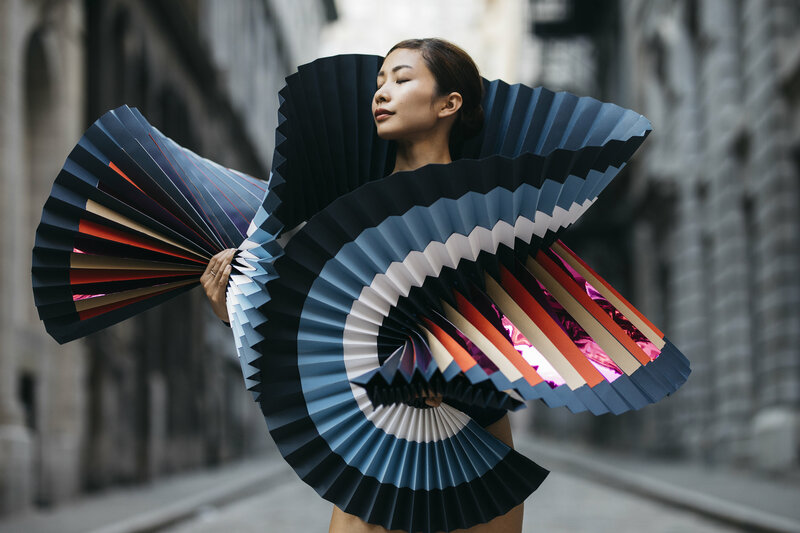 Ballet and origami – what can unite these two completely different directions in art? For many people, the Japanese technique of “folding” paper is painstaking and monotonous work, and the ballet is diligent daily rehearsal, that leads to pain in legs. But today we are going to tell you that completely different directions can “merge” together and work for an excellent and creative result. Two types of art are woven into one photo project, which is called PLI.Ē. 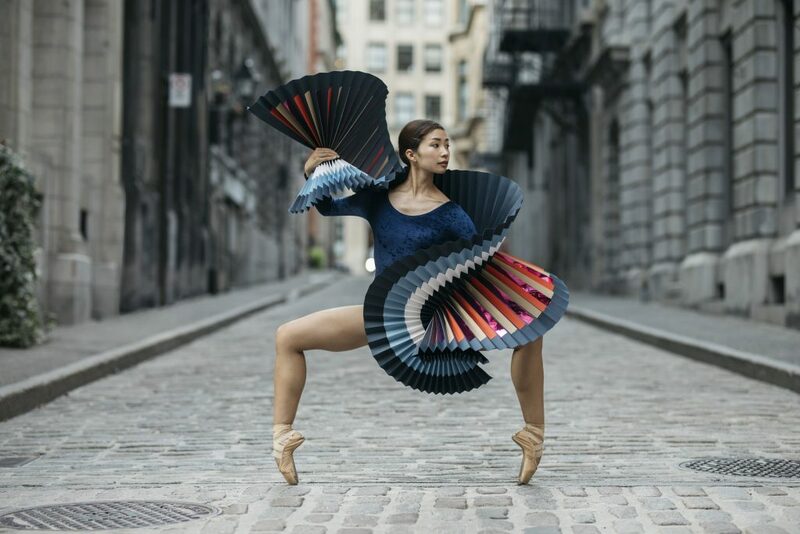 This is the collaboration of two artists from Montreal: Pauline Loctin did the ballet tutus in the style of origami, Melika Dez made the photos. This collaboration was unique, because Pauline worked individually with models, matching the style of paper tutus to the contours and beauty of the body of each dancer. Melika was looking for unique locations around the world: Paris, Rome, New York, Montreal. This project brought the girls not only fame in creative and dance circles, but also helped them to open their personal exhibition, where each photo can be purchased for $ 150. Thus, this project showed us that the world “doesn’t wallow” in abundance of non-standard collaborations, and almost every unusual idea, that combines absolutely diametrically opposed laconic spheres, can generate income and external investments, and also gives a start for a new direction. For instance, as many people claim, the project PLI.Ē has signed a contract for the ballet, where each costume will be made for a dancer individually. Posted in News and tagged art project, ballet, origami, paper, papers, photo, photos, streets. Bookmark the permalink. Simulated beauty: CG – bloggers.